In the last variant TIFF copy can contain one or a few pages of PDF source depending on paper format you choose. Any options is predefined in convert PDF to TIFF command line parameters that are described with one or two letters – very easy to memorize and use. Dealing with converting files to TIFF you can compress future images in order to save memory space. Such feature allows to store TIFF copies compactly and is extremely useful when dealing with lots of files from multiple users. You can also choose specific DPI value that also allows to save memory space if needed. You can attach convert PDF to TIFF command line feature to any other server-client application via ActiveX technology. This can be a client-server or web application. In such a way you make Total PDF Converter X available for using by many users with no need to install software on each PC. By using Total Folder Monitor you can even make conversions automatically, Total PDF Converter X will process all files arriving to some server folder without your assistance. 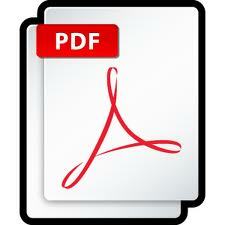 Find out more about Total PDF Converter X facilities by downloading a free trial version. You can always upgrade for a licensed product with no need to reinstall it.